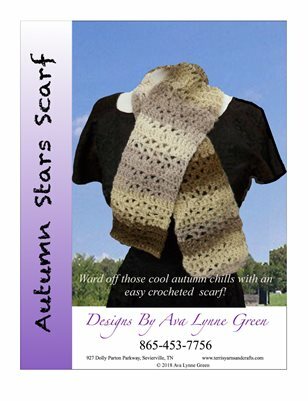 Ava Lynne Green has owned Terri's Yarns and Crafts for over 26 years. 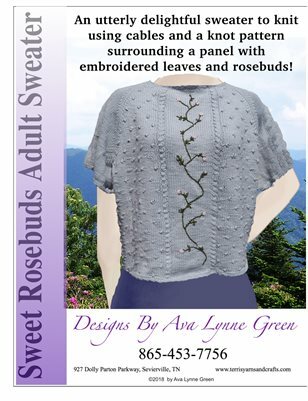 In addition to retailing, she teaches classes in knitting, crocheting, embroidery and other crafts. 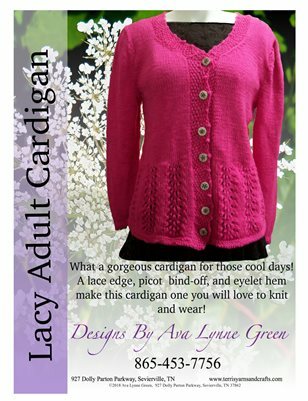 Her designs have been published by Annies, Kalmbach Publishing, Universal Yarn, KnitPicks, F&W Publishing, & Vogue Knitting. She is the author of four booklets, “Knitted Blocks”, “Crocheted Blocks”, “Tunisian Crochet”, and “You Can ... Begin To Crochet!”. 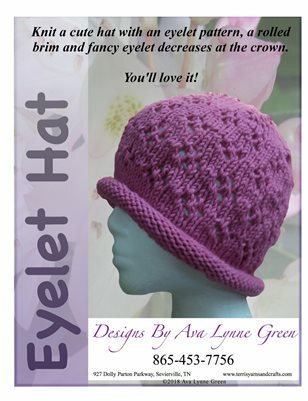 Her patterns and books are available on Ravelry, MagCloud, Craftsy, and her store's website, www.terrisyarnsandcrafts.com . While you normally find her with a needle or hook in her hand, she finds time to hang out with her husband, friends, and even read a book. 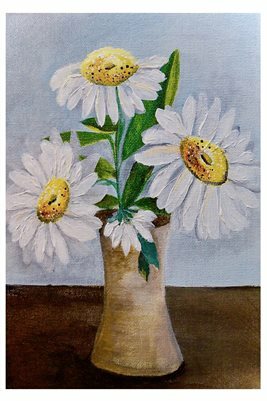 Enjoy a vase full of daisies any time of year with this 12" x 18" print of an original art. 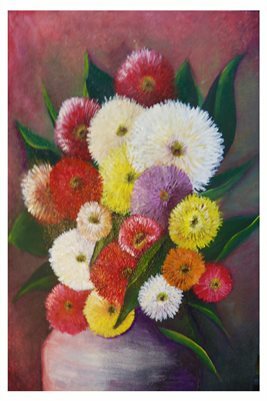 A riot of colorful flowers in a vase, this 12" x 18" poster would brighten up any wall! 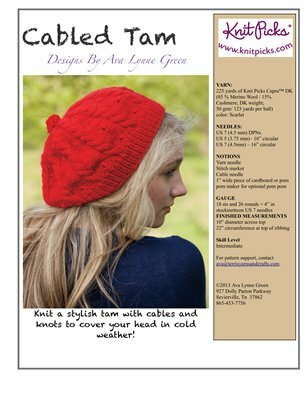 Knit a jaunty tam that is decorated with bobbles and cables. Intermediate in difficulty yet fun to wear. 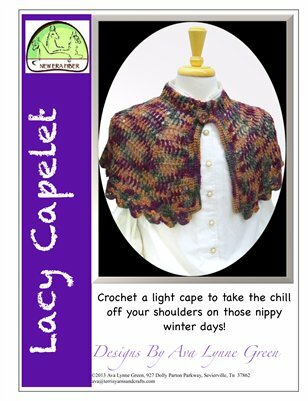 Crochet a light, lacy caplet for those times when you need something to chase away the chill!